Product prices and availability are accurate as of 2019-04-20 19:19:11 UTC and are subject to change. Any price and availability information displayed on http://www.amazon.com/ at the time of purchase will apply to the purchase of this product. 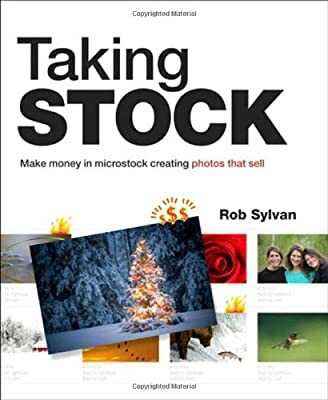 An iStockphoto inspector since 2002, author Rob Sylvan has spent nearly a decade as part of the team that decides which photos get sold on one of the largest, most popular microstock sites in existence. He’s also made tens of thousands of dollars off of his own microstock photography. As a result, no one knows better than he does what it takes to get your photos accepted to stock sites—and what to do to make those photos sell. In Taking Stock, Rob shares his hard-earned insider knowledge on how to shoot, edit, and tag photos so you can earn while you learn, regardless of which microstock agency you’re using. In this book, you’ll learn how to look at the world through the eyes of designers, photo editors, and stock photographers. You’ll also learn the importance of focusing your energy on creating stock content that resonates with your passion for photography. But we all know time is money, which is why Rob explains how to set up an effective digital workflow—the real key to making money in the high-volume, low-cost microstock market. By the end of this book, you’ll look at your work with new eyes, enabling you to make more money doing exactly what you love: shooting photos that sell.